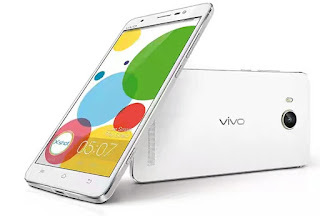 The Vivo Y25 is a budget Android smartphone which has a 4.5 inch IPS display, the phone runs Android 5.1 lollipop and it's powered by Quad-core 1.3 GHz Mediatek MT6580 processor. It's an affordable phone with basic specs. It's camera options includes a 5-megapixel primary shooter and 2-megapixel secondary shooter for selfies. It has just 1gb RAM alongside 16GB expandable memory. It's battery is just 1900mAh and there is no fingerprint support, although it comes with 4G LTE connectivity. Here is the full specs and price. This comment is specifically directed to www.wizytechs.com, could you please intimate us on what triggered you to review this sort of phone. In my own candid opinion, this phone should not have been reviewed by this great site. I disagree with ur opinion. Well it looked affordable to some folks. When it comes to using phones, we should not be looking at the cost of it only but rather we should look out for lots of other stuffs. Lemme use my LG G3 as a case study which i got from AliExpress that came with Android 4.4.2 and now it's running on Android 6.0,can the reviewed phone get such updates?